Wiseman—one of our greatest documentarians—will talk about his new film MONROVIA, INDIANA this week at the 56th New York Film Festival. The following weekend Wiseman will join Richard Brody (author of Cinema is Everything: The Working Life of Jean-Luc Godard) in conversation at The New Yorker Festival. Sunday, September 30, at noon. Monday, October 1, at 6:30 pm. Monday, October 1, at 7 pm. Saturday, October 6, at 10 am. SVA Theatre, 333 West 23rd Street, New York City. Frederick Wiseman. Photograph by Corbin Smith. This entry was posted in CONVERSATION, EDUCATION/ACTIVISM, FILM and tagged Cinema is Everything (Brody), Frederick Wiseman, Howard Gilman Theater, Jonathan Rosenbaum, Monrovia Indiana (Wiseman), New York Film Festival, Richard Brody, SVA Theatre, The New Yorker Festival, The New Yorker Festival 2018, The Paris Review, Walter Reade Theater on September 30th, 2018 by Barlo Perry. Sapphire Smoking by Khalik Allah is one of the highlights of the group show BLOOD CLOTS, now in its final week at Salon 94 Freemans. BLOOD CLOTS, through August 10. SALON 94 FREEMANS, 1 Freeman Alley, New York City. 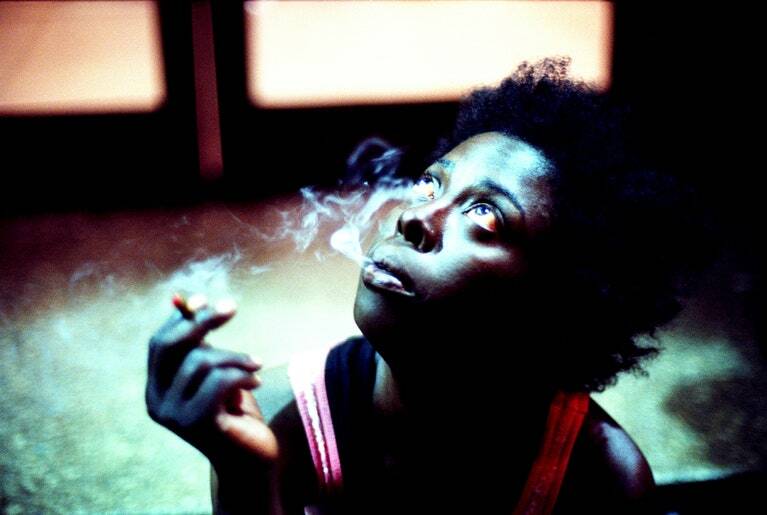 Khalik Allah, Sapphire Smoking, 2013, pigment print. Courtesy of the artist and Gitterman Gallery. This entry was posted in ART, PHOTOGRAPHY and tagged Khalik Allah, Richard Brody, Salon 94, Salon 94 Freemans on August 7th, 2018 by Barlo Perry. 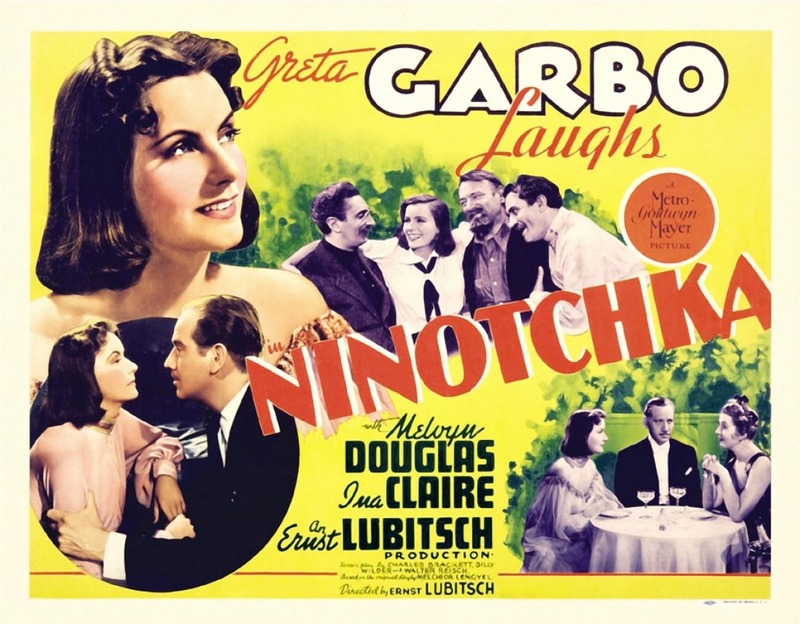 “Garbo Laughs” was the tagline for the legend’s last great film, NINOTCHKA. Perhaps it was the freedom of retirement on the horizon that brought a smile to her face. NINOTCHKA—a satire on Soviet severity, among other things—was written by Billy Wilder, Charles Brackett, and Walter Reisch, and directed by Ernst Lubitsch, the subject of the UCLA Film and Television Archive retrospective How Did Lubitsch Do It? Prior to this weekend’s screening, Joseph McBride will sign copies of his new book which gives the series its title. NINOTCHKA and THE SHOP AROUND THE CORNER, Saturday, July 7, at 7:30 pm. Joseph McBride, How Did Lubitsch Do It? (New York: Columbia University Press, 2018). Greta Garbo in 1939. Ninotchka publicity photograph by Clarence Bull. This entry was posted in BOOKS/PERIODICALS, CONVERSATION, FILM and tagged Ernst Lubitsch, Greta Garbo, How Did Lubitsch Do It? (McBride), Joseph McBride, Margaret Sullavan, Ninotchka (Lubitsch), Richard Brody, The Shop Around the Corner (Lubitsch), UCLA Film and Television Archive on July 6th, 2018 by Barlo Perry.